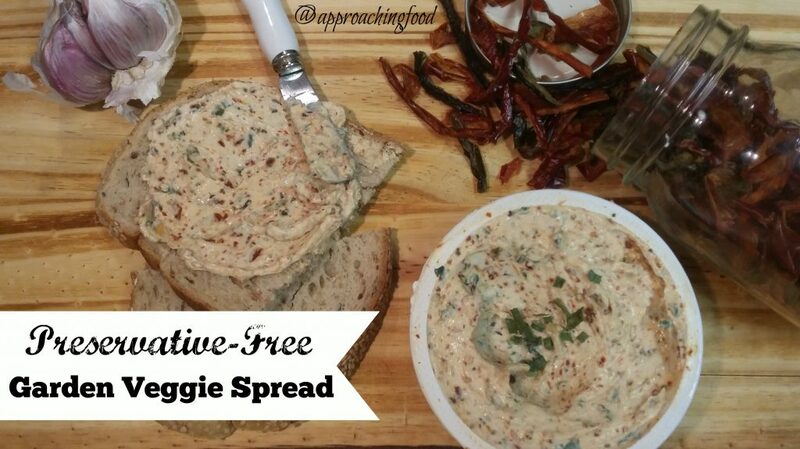 I can’t even tell you how yummy this healthy cream cheese spread is! So yum. All the yums! When I was a child, I used to loooooove eating raw red peppers. My mother would cut them into sticks and give them to us for lunches and snacks and I would gobble them up. I always said that when I was grown up, I would eat nothing but red peppers for a whole day. Fast forward a few years (*cough* decades *cough*) and my sweet husband, who knows that I still love red peppers, comes home from a shopping trip with several BAGS of them. Now, I love red peppers but there’s only so many even I can eat. What to do? Well, I sliced and froze some, and then I dehydrated the rest. I used the dehydrated peppers in soups and stews and tossed them in my Best Ever Macaroni Salad, but I still had a ton left. That is, until I started making Preservative-Free Garden Veggie Spread! This cream cheese spread is chock-full of veggies and is tastes absolutely incredible for something that only has four ingredients. It’s slightly sweet and totally savoury and is perfect to spread on fresh bread, toasted bagels, or even crackers. I plan to add it to the next cheese and cracker platter that I make; that is, if any is left after the DH and I finish taste-testing it! I can not overstate how delicious this spread is. And bonus, there are no nasty preservatives in it, only healthy ingredients. Want to make some yourself? Let’s! This healthy cream cheese spread is chock-full of veggies, but tastes like your favourite coffee shop bagel spread. 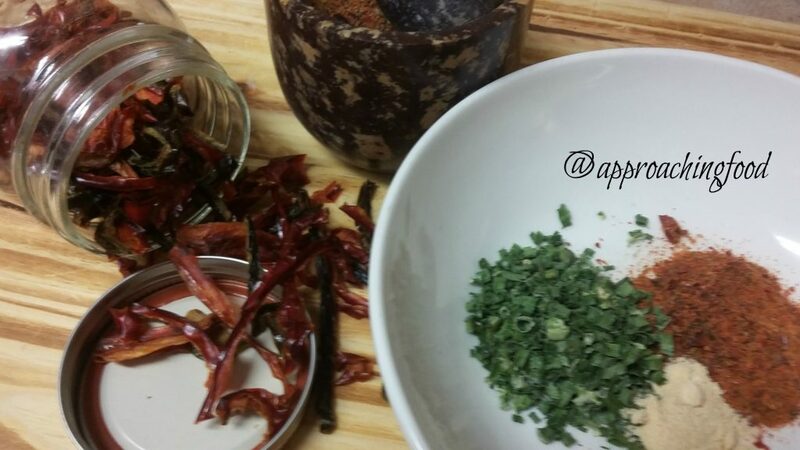 Using a mortar and pestle, grind the dehydrated red and green peppers to a powder. You can leave a few larger chunks in, but most of it should be a finely ground powder. 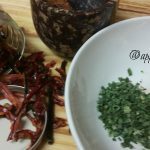 If you don’t have a mortar and pestle, you can use a spice grinder, or even (IF you’re making a large quantity) a blender. Soften cream cheese in a microwave for 15 seconds. This makes it easier to mix everything together. And…you’re done! Enjoy your super-delicious and healthy spread! 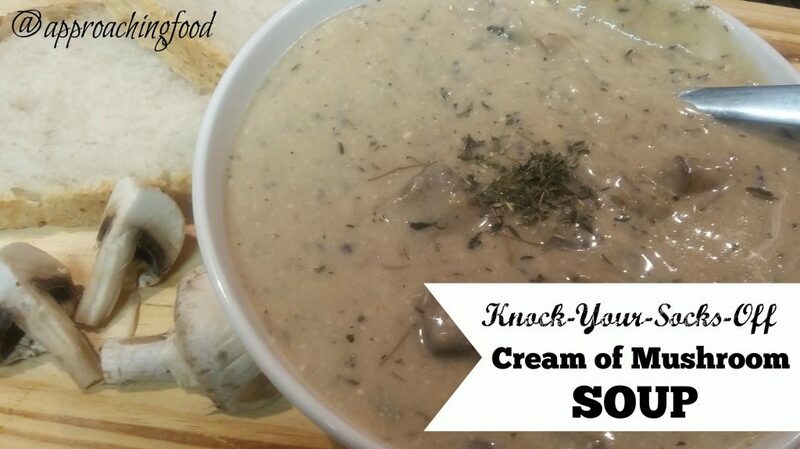 Three simple ingredients bring a whack-ton of flavour! This Preservative-Free Garden Veggie Spread deepens in flavour the longer you let it sit, but you can also eat it right away. Personally, I like to heat it in the microwave for a few seconds after pulling it out of the fridge, so that the cream cheese spreads more easily, but if you’re serving it on a cheese platter, room temperature would be perfect. 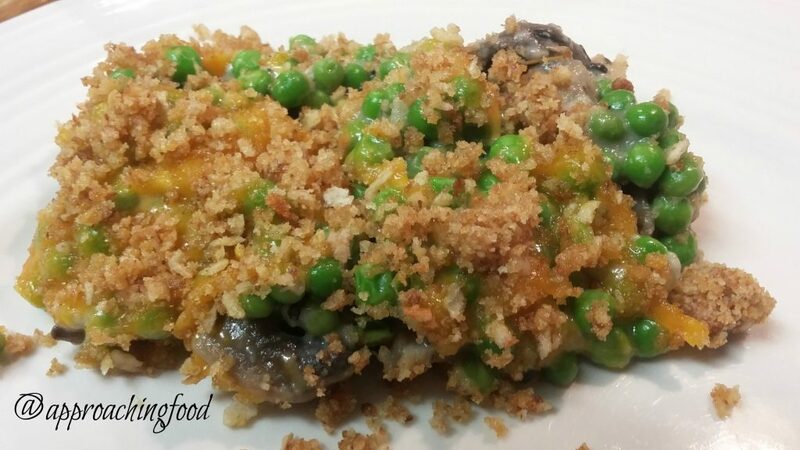 This entry was posted in Snacks, Uncategorized, Vegetarian Side Dishes, Waste Not Want Not on February 25, 2019 by Margaret. A few weeks ago it was my father’s birthday, and as he always requests an apple pie instead of cake, that’s what I baked. 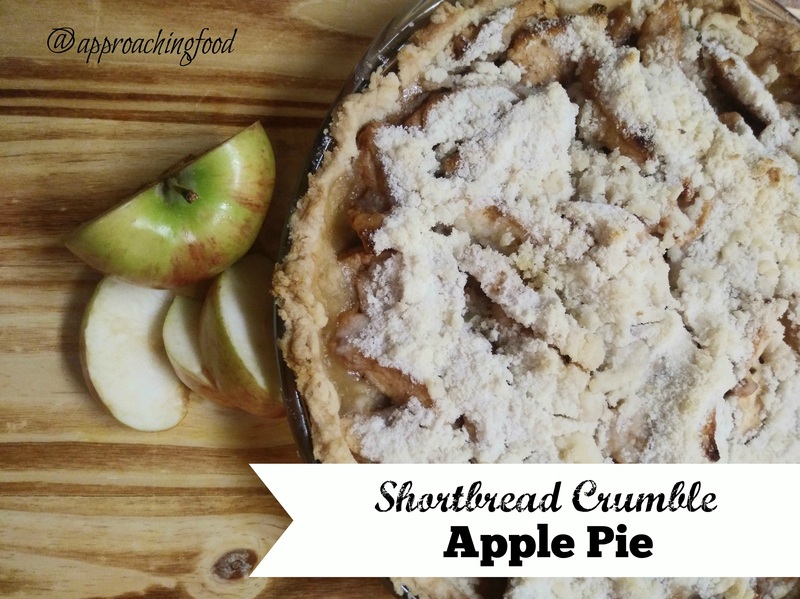 But I love trying new things in the kitchen (plus one of my sisters is dairy-free) so I baked a Shortbread Crumble Apple Pie, instead of my Ultimate Caramel Crumb Apple Pie. I’ll share the recipe for a version of the pie with butter, but if you’re vegan (or dairy-free), just replace the butter with shortening, like I did for my dad’s birthday pie. I always prefer a crust make with shortening AND butter, as shortening gives it that flaky texture (as does vinegar or vodka), but butter gives it that flavour that I love. But like I said, either fat is fine — you do you, boo! 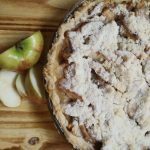 This apple pie can be made vegan or not, as you can use butter or vegetable shortening in the crust. 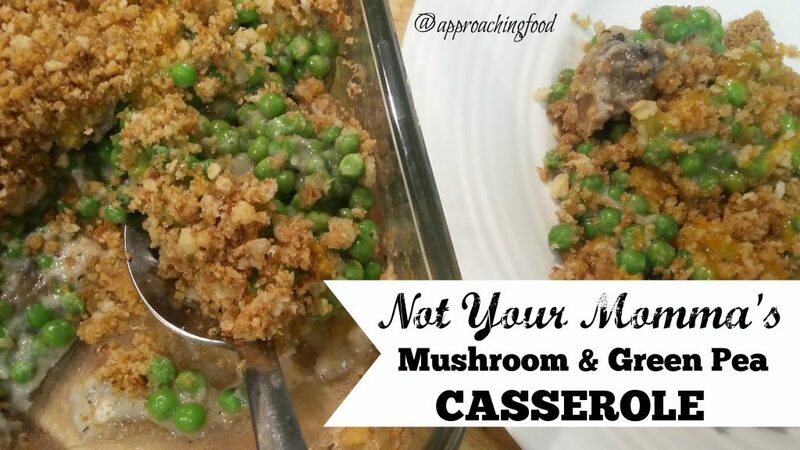 I like the butter version best, but the vegan version is also sure to be a hit! I mean...pie! Mix first three ingredients together to form the shortbread crumble. The mixture should be slightly crumby. 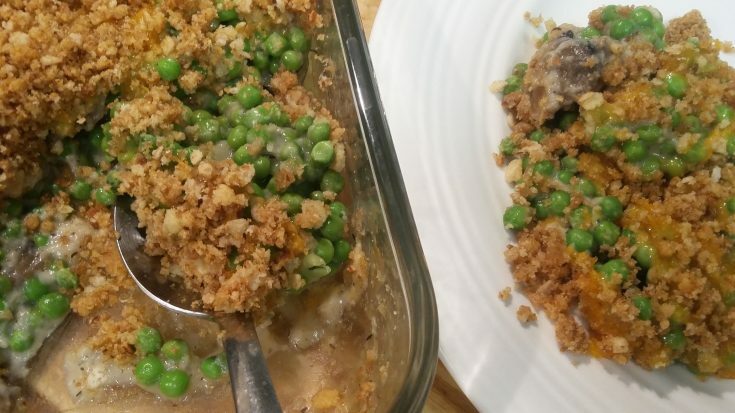 You can mix it together with a fork, a pie crust mixer, or your fingers (I've done all three). Peel, core, and slice the apples, and mix with the remaining ingredients together (except for the dough, obvs). Roll out the dough to line a pie plate. I like to crimp the edges, but you can also use the tines on a fork to make an impression on the edges. Pour the seasoned apple mixture into the pie plate, mounding in the middle. Sprinkle the shortbread crumble mixture on top. Bake in a 375 degree oven for 60 minutes. The pie is done when the apples are forkably soft, and the crust is golden brown. Let cool slightly and enjoy! Welp, it’s that time of year, when my baking ramps up along with my waistline, as I think of and try to bake All The (Yummy) Things. This year my baking is a little scaled back, what with a new baby and all, but I’m still managing to get in some delicious things. I made my usual White Chocolate Candy Cane Bark, several iterations of Ginger Cookies (vegan and low-gluten), plus Fruitcake, and Danish Butter Cookies. I still have lots of candy canes left, so I might try baking a batch of Candy Cane Redux Cookies. And I’m thinking of making some Lemon Meringue Tartlets to celebrate the New Year with. And possibly some Chocolate Chunk Whipped Shortbread to go with it. But this is all assuming baby develops a napping schedule and lets me get some baking in! Because this new mummy wants to get some eating in! Actually, just like last week, I’m typing this while baby is napping on me. Parent life, amirite? p.s. – I was just googling some of my past Christmas/holiday-themed recipes, and came across my Peppermint Patties recipe. OMG, I totally have to make that one soon! I recommend it HIGHLY! Much easier than you’d think! Next Post: I’m thinking I’ll share my Chicken Noodle Soup recipe. 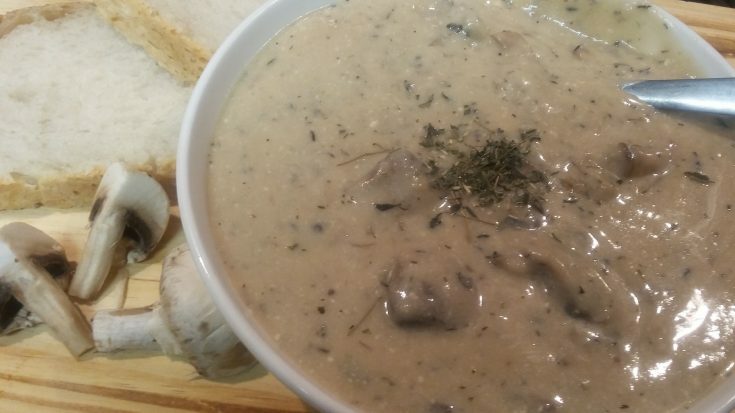 I’ve made it into a super-easy version, so that even a beginner cook can make it. This entry was posted in Pies, Uncategorized on December 23, 2018 by Margaret. A rainbow of flavour in every bowl! That’s what I’m talking ’bout! 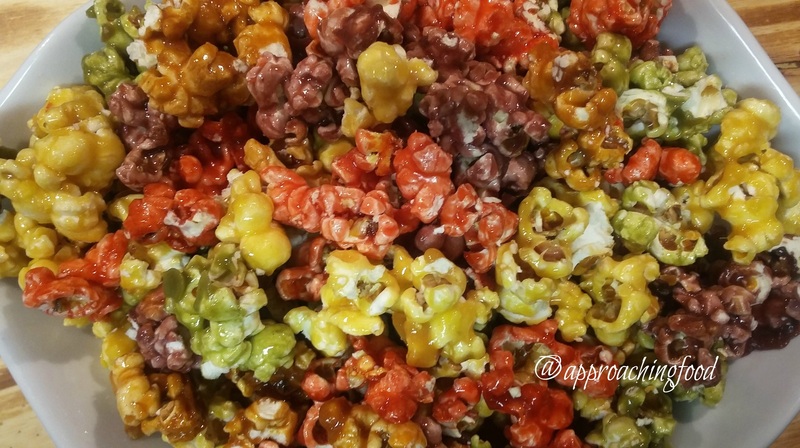 How did I come up with this TUTTI-FRUTTI POPCORN recipe? Well, when I was younger I used to love the multi-coloured and multi-flavoured popcorn one could buy at the popcorn store in the local mall. My sisters and I would buy it as a gift for each other on birthdays. Somewhere along the line, I stopped eating it, why I don’t know. (Adulthood, maybe? Eh.) Then last week someone gave me a whole bunch of skittles packages and I was trying to figure out how to use them. 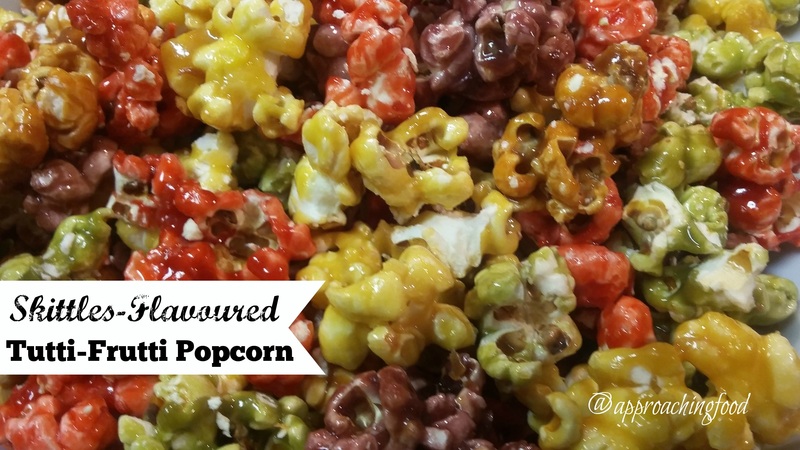 Suddenly it hit me…I could make TUTTI-FRUTTI POPCORN at home! Childhood regained! This TUTTI-FRUTTI popcorn reminds me of the double-glazed kind I would buy at the local popcorn shop, glossily glazed in mouth-watering sweetness, yet with a hint of tartness and lots of crunch. One batch is just enough for a v. indulgent Netflix binge-watching session for one, or perhaps a couch and movie night for two. Have I piqued your interest yet? Let’s get to making some! Melt and mix brown sugar, corn syrup, and ½ c. butter over medium to high heat and stir until boiling. A light sauce will form (as opposed to butter running separate from sugar. You’ll know what I mean when you see it). Continue stirring caramel sauce and let it boil until it has become a slightly thicker caramel sauce. Put 1/5th of the caramel mixture in a separate pot and add in one flavour of skittles plus one tbsp. butter. Stir over medium heat until skittles have dissolved into the caramel and it has become a homogenous sauce (it will take a bunch of continuous stirring and smushing of the skittles). Stir in 2 c. of popcorn, until thoroughly coated, and spread on a half a cookie sheet in a 250 degree oven. Do the same with the remaining 4 flavours, one at a time. You’ll end up with two cookie trays in the oven, one with two flavours of popcorn on it, and one with three flavours of popcorn on it. Every time you add one of the 5 flavours of popcorn to the oven, stir the other colours to re-coat with flavoured sauce (it has a tendency to melt off). Be sure to keep the flavours of popcorn separate on the trays. Once all the flavours are made, bake both trays in the oven at 250 degrees, for 45 minutes, stirring every 15 minutes. Remove from oven and let cool on the cookie trays. Once cool, break up any chunks that have formed, and mix together in a large serving bowl. Then…dive in! Try each flavour separately, then try them together! You really can taste the separate flavours. Yum-o! Often I bake and cook and bring in my creations to my workplace, or send it in with the DH to his, but this? This popcorn is all mine, my friends! I’ll be honest, the process is a bit finicky to do with all the different flavours, but the final result is worth it. BONUS VERSION: If you use a vegan margarine instead of butter, it’s…VEGAN because skittles are vegan. (Did you know that? I didn’t until recently.) Impress your vegan friends and be the life of the vegan party. Or just eat it because something this delicious will probably not make it out your door, just sayin’! Linking Up at Meal Plan Monday (x2) and at Happiness is Homemade! And at Full Plate Thursday! Plus, at Southern Bite! This entry was posted in Uncategorized on January 21, 2018 by Margaret.